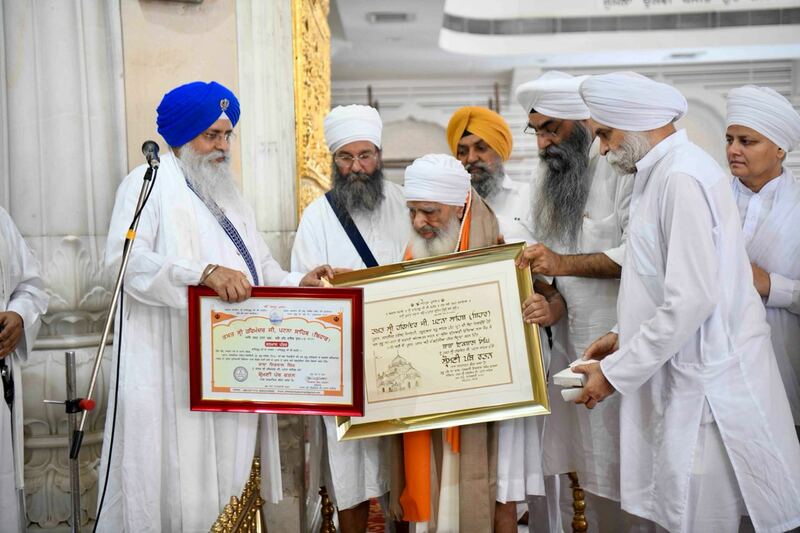 Baba Iqbal Singh Ji, President The Kalgidhar Trust/ Society, GurdwaraBaruSahibheadquartered in Himachal Pradesh was conferred with the prestigious title of ‘Shiromani Panth Ratan’ (Crowning Jewel of the Sikh cause) by Jathedar GianiIqbal Singh Khalsa at Takht Sri HarmandirJi Patna Sahib on 8th July 2018. This honorific denotes great appreciation for his meritorious services of blending the spiritual path laid by Ten Guru Sahibs with the worldly knowledge through value-based Education, for his services in spreading Bani and Sikh faith, and his exceptional services to the community. In an event organized at the Takht Sri HarmandirJi Patna Sahib, S. Karnail Singh Panjoli – Member SGPC, Management of Takht Sri Patna Sahib, volunteers of Baru Sahib and many other renowned personalities graced the historic occasion to congratulate Baba Iqbal Singh for this homour. The title Shiromani Panth Rattan literally means Crowning Jewel of the Sikh cause , is a title of highest honour awarded by one of the Takhts to an individual for the exceptional and meritorious services rendered to the Sikh cause. This is for the first time that a living legend like Baba Iqbal Singh has been conferred with the title of Shiromani Panth Ratan, during his lifetime whilst still working for the welfare and Chardi Kala of the Sikh community as well as the entire humanity. 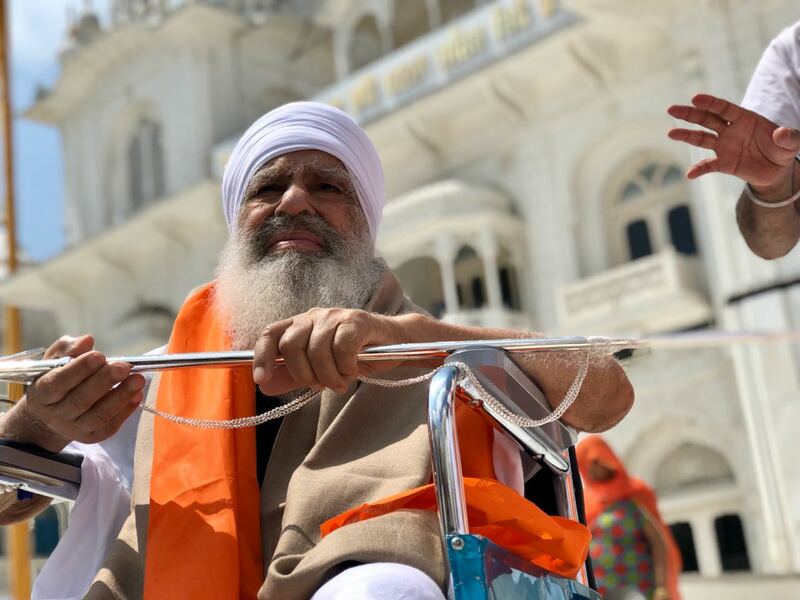 Baba Ji retired from his Government job as Director of Agriculture (H.P.) in 1986 and immediately setup a school on the tranquil foothills of Baru Sahib with only 5 students. The curriculum was a synthesis of spiritual and worldly knowledge. Gradually the number of students in this school started increasing and the word spread of it turning around lives of students. Today the number of schools have increased to 129 rural schools and almost 70,000 students are being imparted the blend of spiritual as well as worldly knowledge here. In most rural parts of Punjab, Haryana, Rajasthan, Himachal Pradesh and Uttar Pradesh, Akal Academies were setup by Babaji. 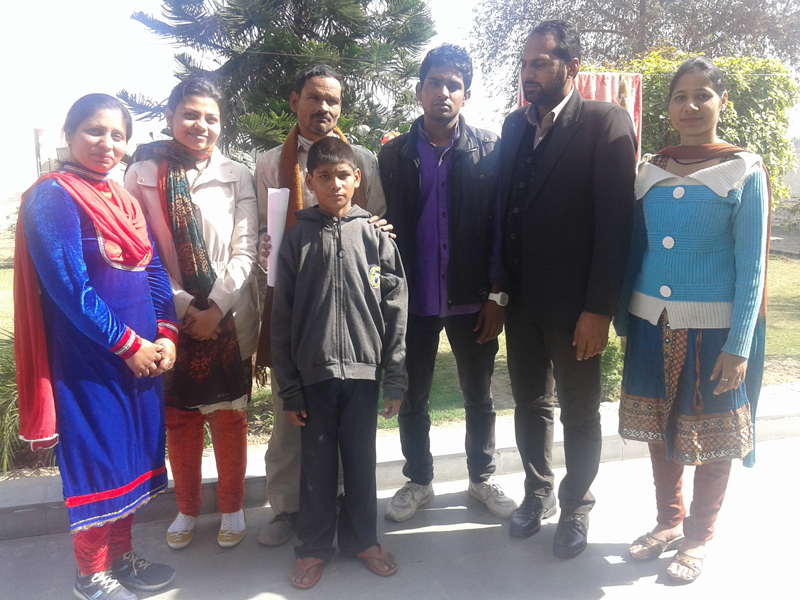 The credit of creating a healthy competition and raising the standards bar amongst rural schools, goes to Baba Iqbal Singh. At present The Kalgidhar Trust /Society Baru Sahib runs129 Schools, 2 Universities, 1 Online University, 3 Drug De-addiction Centre, 6 Teacher Training Centre, and 1 Hospital.